Tá Misneach tar éis cur i gcéill an rialtais a cháineadh go láidir i ndiaidh Leo de Varad, cara mór na Gaeilge mar dhea, bean nach bhfuil líofa sa teanga a cheapadh mar Aire Gaeltachta an tseachtain seo chaite. 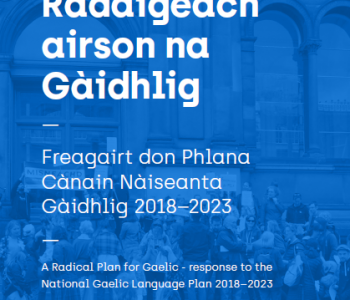 Tá cúlú iomlán anois ón mbéim a bhí ann tráth go mbeadh leibhéal Gaeilge de shaghas éigin ag an Aire Gaeltachta. 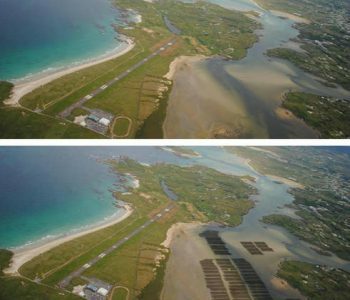 Tagann ceapachán Madigan sna sála ar cheapachán an Aire Humphreys le blianta beaga anuas. 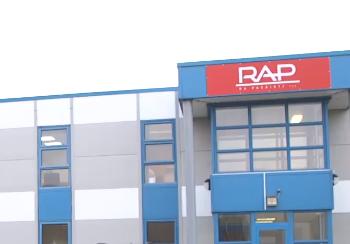 Ní raibh Gaeilge ar bith ag Humphreys agus níor léirigh sí suim dá laghad i gcúrsaí Gaeltachta nó cur chun cinn na teanga. Anuraidh, le linn do Humphreys a bheith ina haire, ceapadh Katherine Licken ina hArd-Rúnaí ar Roinn na Gaeltachta gan an Ghaeilge a bheith ar a toil aici. Le ceapachán Madigan, leanann an staid reatha ina bhfuil bearna mór i dtuiscint an Ard-Rúnaí agus an Aire Sinsearach ar chroíphobal ceann dá gcúraimí lárnacha. ‘Tá an creimeadh ar an nGaeilge sna ranna stáit imithe i dtreise ó tháinig Fine Gael i gcumhacht agus ó cheapadh Jimmy Deenihan mar Aire Gaeltachta sa bhliain 2011. Is cuma cibé iarrachtaí a ndéanann an Taoiseach nua, Varadkar, an fhírinne shearbh seo a cheilt trí bharr feabhais a chur ar a chuid Gaeilge féin, nó an chuma a chur ar an scéal gur cara mór na nGael é, tá an teanga á brú i leataobh ag an stát níos mó ná riamh. 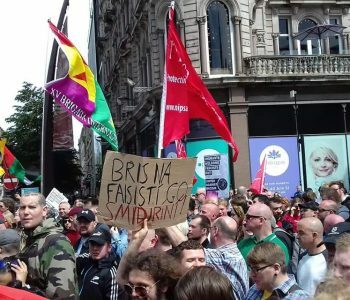 ‘Anuas ar sin, tá Madigan tar éis tuairimí leatromacha a chur faoi bhráid an phobail maidir leis an Lucht Siúil agus praghasanna tithíochta ina ceantar féin. Ná déanaimis dearmad go bhfuil cúram an chultúir agus oidhreachta uirthi mar aire chomh maith. 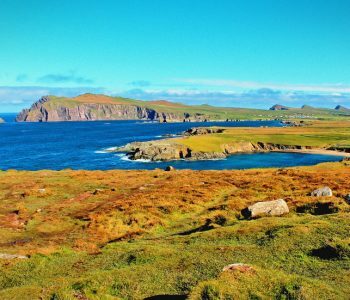 Cé gur mionlach de mhuintir na hÉireann iad, tá a gcultúr agus oidhreacht féin ag an Lucht Siúil. Tá polasaithe stáit, ar a bhfuil an bhéim ar an asamhlú, tar éis an Lucht Siúil a bhrú go himeall na sochaí. ‘Seasann Misneach ar son na hillghnéitheachta i dtéarmaí cultúir de agus seasaimid i gcoinne an chomhtháthaithe cultúrtha atá ag titim amach fud fad an domhain faoi láthair. I gcomhthéacs an stáit Sé Chontae is Fiche, tá sé scanallach go gceapfaí sa ról ina bhfuil sí duine leis na tuairimí aineolacha seo, agus gur cuma sa tsioc léi faoi labhairt na Gaeilge. 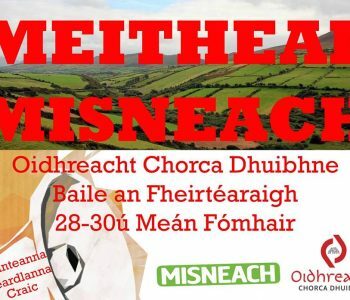 Misneach have slammed the latest display of government hypocrisy after Leo Varadkar, a huge friend of the Irish language, last week appointed a woman who is not fluent in the language as Minister for the Gaeltacht. There has been a complete back down from the emphasis that once existed on Ministers for the Gaeltacht having at least a modicum of Irish. Madigan’s appointment follows the appointment of Minister Humphreys in recent years. Humphreys had not a word of Irish and showed no interest in Gaeltacht affairs or the promotion of the language. 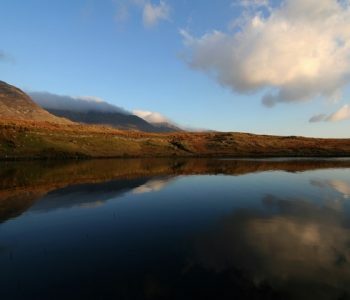 Last year, during Humphreys’ tenure as minister, Katherine Licken was appointed as General Secretary of the Department of the Gaeltacht without being fluent in the language. With Madigan’s appointment, there has been a continuation of the status quo where there is a chasm of understanding between the General Secretary and Senior Minister on the one hand, and the core language communities under their charge on the other. 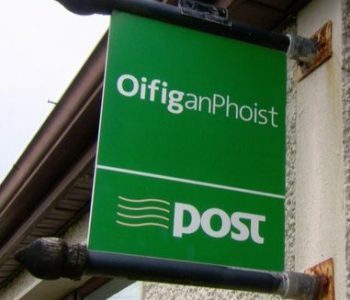 ‘The disintegration of Irish language services among the various state departments has intensified since Fine Gael came to power and Jimmy Deenihan was appointed Minister for the Gaeltacht in 2011. 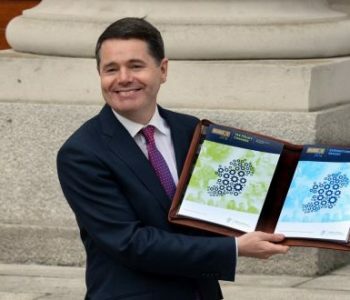 It matters not what efforts the new Taoiseach, Varadkar, makes to hide the bitter truth by improving his Irish, or acting as if he is a great friend of its speakers, as the language is being pushed aside by the state more than ever. 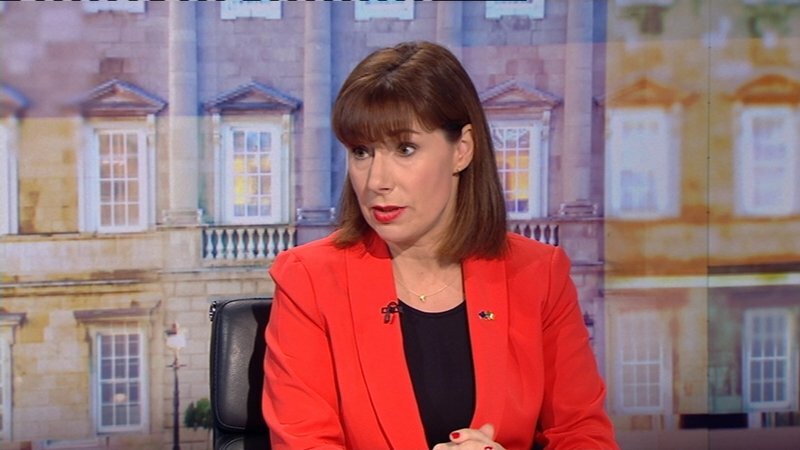 ‘Moreover, Madigan has gained notoriety for her discriminatory comments in the public sphere in relation to Travellers and property prices in her own constituency. We mustn’t forget that the culture and heritage roles come under her purview too. Despite them being a minority of the Irish population, Travellers have their own culture and heritage too. Successive state policy, with its emphasis on assimilation, has had the counterproductive effect of marginalising Travellers in Irish society. ‘Misneach stand for cultural diversity and we stand against attempts at cultural homogenisation which are occurring on a global level as we speak. 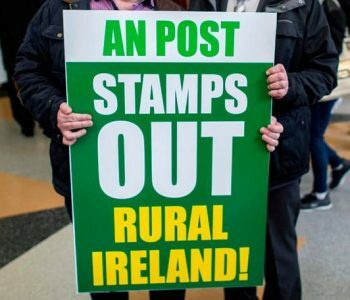 In the context of the Twenty-Six County State, it is contemptible that someone who holds these ignorant views and who couldn’t care less about the Irish language would be appointed to this role.